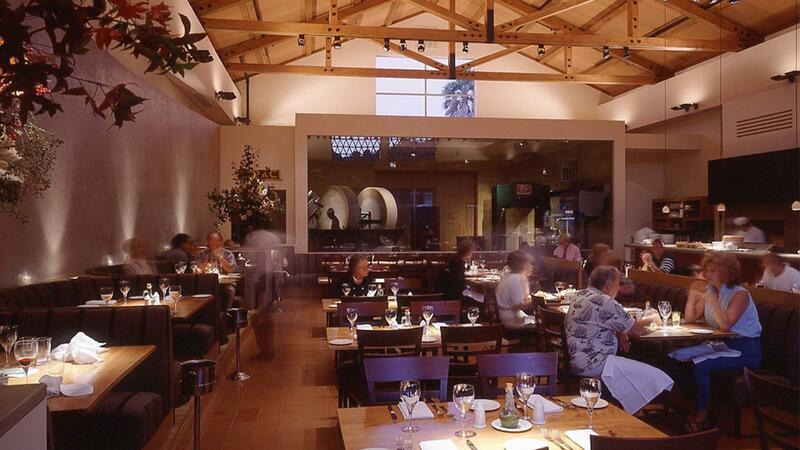 Rent Frantoio Ristorante | Corporate Events | Wedding Locations, Event Spaces and Party Venues. Located near Highway 101 in Southern Mill Valley, we are 5 minutes from Downtown Sausalito and 5 miles from Muir woods, making Frantoio a perfect place to make a quick escape from the busy city or a relaxing end to a beautiful day in west Marin. Cent'anni! Frantoio has been independently owned and family operated since 1995. As a supporting member of Marin Organics, we use locally sourced organic non-gmo ingredients, bringing the best Marin has to offer to our traditional northern Italian cuisine. Balancing our menu is our extensive wine list that showcases some of the best Californian and Italian vineyards. Peaked wood beam ceilings, terra cotta tile floors and meticulously crafted lighting create a comfortable and elegant ambiance that unites rustic warmth with contemporary design. With a full bar, spacious main dining room, a private event space for large groups, commuter friendly happy hour and intimate private dining in our olive oil press room, Frantoio Ristorante provides an unsurpassed culinary experience for any occasion.